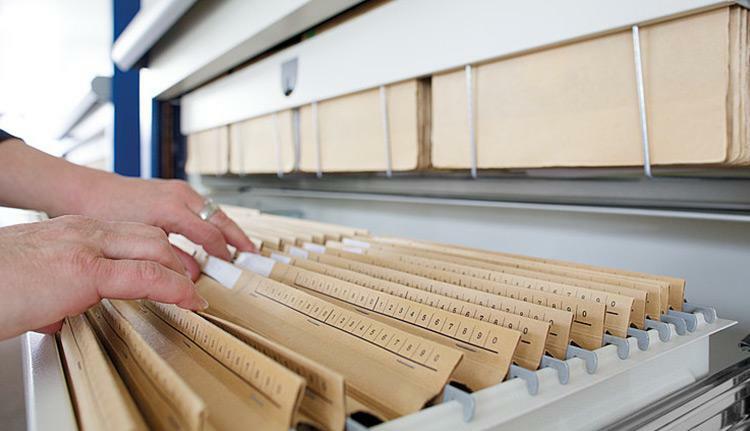 Vertical Carousels from FSS help police departments across the country manage their records more efficiently and reduce overall labor costs. Criminal records and other items are stored and retrieved at a single access point and since a carousel is completely enclosed they offer a much higher level of security than open shelves. 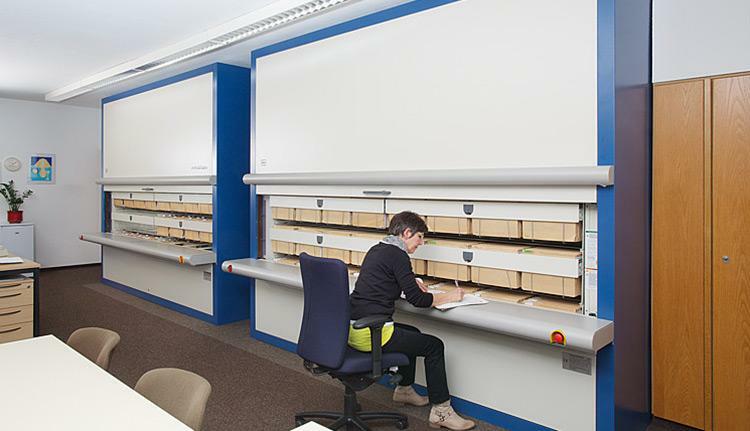 They make use of the available room height, so its compact design creates up to 60% more filing capacity. 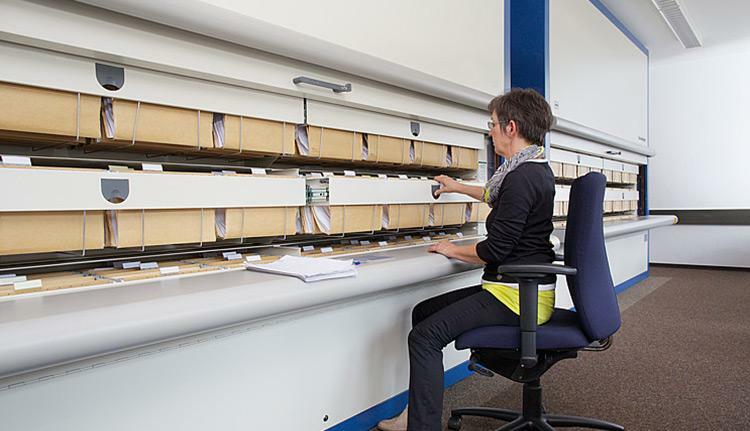 With its user-friendly design and the ergonomic position of the work counter, vertical carousels allow users to do their jobs comfortably either standing or sitting. Vertical carousels can be equipped with mechanical locks, passcode access or magnetic/RFID readers and all inventory is computer-controlled for accuracy and tracking. Vertical carousels allow for more storage volume on a smaller footprint. 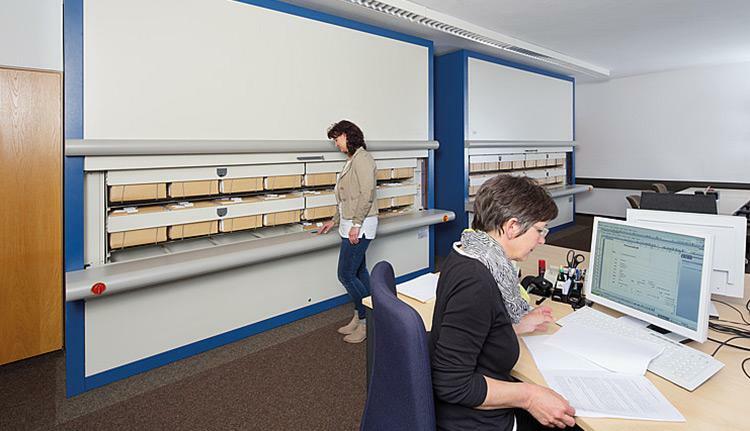 When vertical carousels are installed next to the desks, distances are short and work processes in the administrative offices are made easier. Inquiries can be answered quickly and reliably. There is no walking, no bending, no climbing on ladders to access files, just press a button and within 20 seconds or less the file is in the users hands!